Water Usage: It is important not to overload your septic tank with too much water. This is why we recommend homeowners do laundry in fewer batches each day rather than doing all laundry on one day a week. We also recommend homeowners fix leaky plumbing early to avoid wasted water leaking unnecessarily into the tank. 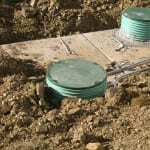 Watch for Problems: There are several signs that a septic tank may be having problems. You should call a professional if you notice an odor around the area of the septic tank. Bubbling or gurgling noises and slow drains are other signs that your tank needs attention. Tank Maintenance: You should schedule a cleaning for your septic tank every three to five years, depending on the size of your tank and the number of people in your household. Keep track of cleaning and other maintenance so you don’t fall behind on the maintenance schedule. 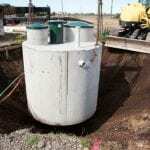 Contact us if you have questions about your septic tank. We are happy to inspect your tank and help you with your maintenance and repair needs. We take pride in doing quality work, and we make sure our customers have the services they need.